ALABASTER BIBLE SCHOOL | Roz Heyns | Alabaster Ministries Inc.
About three years ago, it became abundantly clear, that, after spending so much time teaching the elderly they were beginning to know more about the Word than some of their pastors did. Sitting at the computer one day that Lord asked what we were going to do about it. The farthest thing from mind was a Bible School but that was what God wanted. We are almost at our first graduation to be held in February 2019. 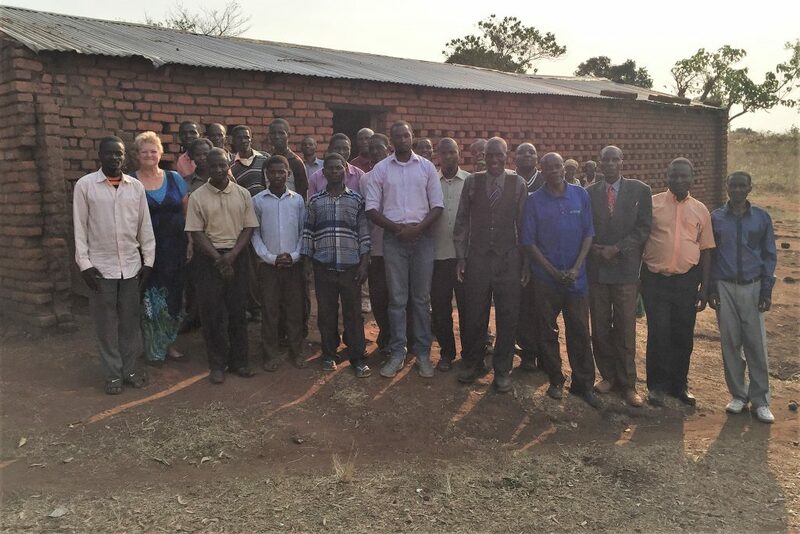 It is a two year program and it has been exciting to see the pastors transformed as they have sat under five session per day for a week out of every six week period. We encourage interaction with the students in the classroom and the evening sessions are amazing. We have taught on praise and worship and intercession. After that the pastors are each given an opportunity to preach for ten minutes on a verse the teachers choose for them. They read the verse and immediately stand and preach. Some of them walk up to 20 miles to attend the school and we house and feed them three meals a day. When finances become available we will be building dormitories for them. All of our buildings are used for several purposes – Bible School, Conferences, Children’s Churches. The land belongs to Alabaster and is used to the glory of God. We are in the process of having all of the lessons translated into the local language so that pastors can take them back to their churches and start their own little Bible Schools.